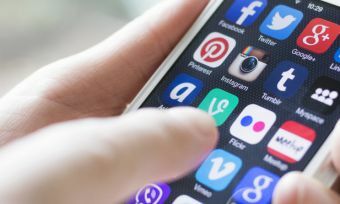 Despite the rise of instant messaging apps, phone numbers are still a handy way to keep in touch with friends and family, but can be hard to keep track of – especially if you’re new to the Australian telco market. In this Canstar Blue article, we’ll detail everything you need to know about Australian phone numbers, as well as how to keep your old number or choose your own. In addition, you’ll find a list of Australian emergency contacts that are handy to have in your phonebook. If you’re looking to call someone who lives in the same region as you, you won’t have to enter the area digits before you make the phone call – you simply enter the last eight numbers. Those calling from overseas will have to enter the International Access Code – which for Australia is 61 – and will often be shown as +61 followed by the phone number you wish to call. If you wish to call a business or organisation, you may notice their phone numbers are a bit different. Most commonly beginning with either 13, 1300 or 1800, companies use these as they are nationwide numbers, meaning if a business moves into a different region, they don’t have to worry about changing their number. The main difference between a 1300 and 1800 number is the cost, as 1300 are referred to as Local Rate Numbers, meaning it will cost you to call 1300 numbers, while 1800 numbers are Toll Free Numbers, meaning they are free to call. When you sign up to a telco provider, you’ll be given a phone number with a phone and/or SIM card purchase. But what happens when you upgrade your phone to the latest model, or even switch telco providers? In Australia, swapping your phone doesn’t mean you have to swap numbers as well, meaning your friends and family can stay in contact with you no matter how many times you switch. If you’re looking at making the switch to another SIM-Only plan, you can keep your old phone number through a process known as ‘porting’. You can only port your phone number once you’ve signed up to a new provider or deal, with your new provider giving you the option to keep your phone number when you’re activating your SIM card. The benefit of this is that you don’t have to memorise a new number every time you switch providers! If you’re after something a bit more personalised, you can also ask your provider for a phone number that is easier to remember, or something that you just prefer. 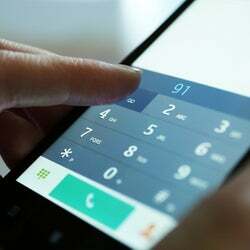 The big providers, such as Telstra, Optus, Vodafone and Amaysim, all offer the option for customers to choose their phone number, but it will cost you extra, and there’s also the risk that someone else already has the phone number you want! 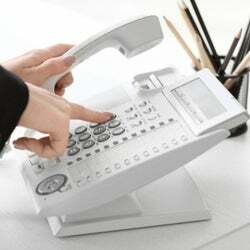 Simply contact them to find out if the phone number you want is available. While most phone numbers will easily be found online, it wouldn’t hurt to have these numbers close by, or stored in your mobile phone, in case of emergency, or to just make things easier. If you’re in an emergency, or are in need of help, the phone number for the Australian emergency services is 000. This is for ambulance, police, as well as the fire department, and will connect you to an operator who will direct your call to the relevant services. Be sure to provide as much information as possible to the operator, as it will ensure you receive the help you need. Each Australian state has its own SES unit, which is usually called in the event of natural disasters, such as bushfires and flooding. You can reach your local SES unit by calling 13 25 00, which will connect you to an operator who will pass you onto the local SES branch. With Australian homes exposed to plenty of dangerous animals, it doesn’t hurt to be prepared in case you come across one. The Poison Information Centre will be able to provide advice for anyone who has been bitten, stung, or come into contact with the Australian wildlife, and can be reached on 13 11 26. A private and confidential counselling service for young people aged 5 to 25, Kids Helpline is a handy number to have for those who are having problems at home, or are struggling with changes or simply need to talk to someone. Kids Helpline can be reached on 1800 551 800. Your telco provider – mobile phone and internet coverage isn’t always perfect, or you may have a problem with your device, so it could be worthwhile knowing who to call to fix any issues. Your doctor – getting sick is never fun, especially if you don’t know who to contact. Having your doctor’s practice – or even the number for a house call doctor – may help you get better sooner. Emergency contacts – in certain cases, you may be required to provide an emergency contact, such as for a safety waiver in case you get hurt or sick, so it’s best to have the numbers of loved ones saved in your phone. This will generally be your friends or family, or may be someone you live with, or your next-door neighbour. 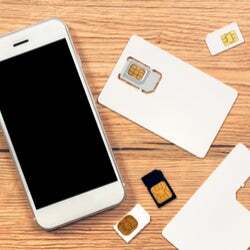 There are plenty of options and things to consider when it comes to the Australian telco market, so if you’re looking to purchase a new phone, SIM Card or phone plan, look at all your options before you sign up.